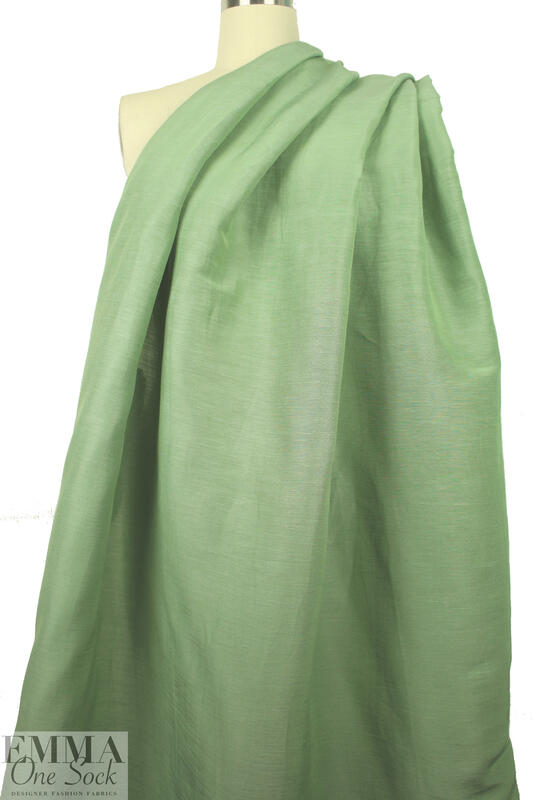 This exquisite organic hemp/silk woven is lightweight with a slubby shantung-like texture. 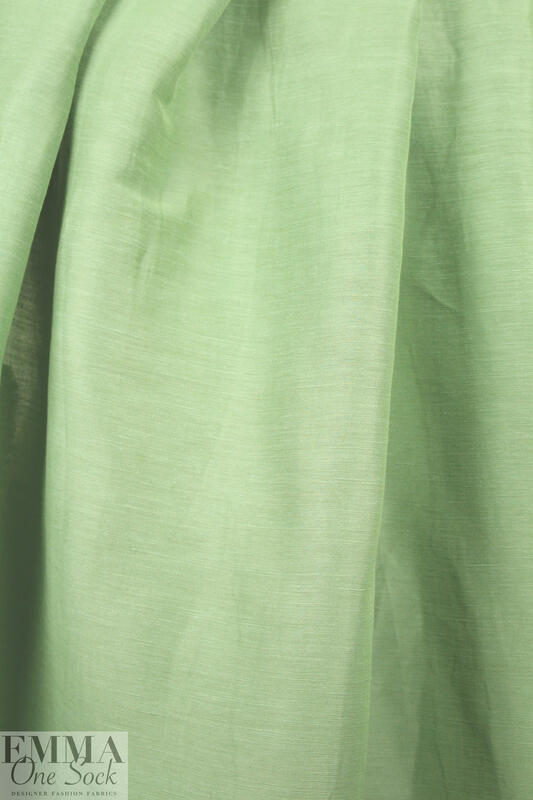 It is semi-opaque with a crisp drape and a gorgeous green tea coloring (PANTONE 15-6316). 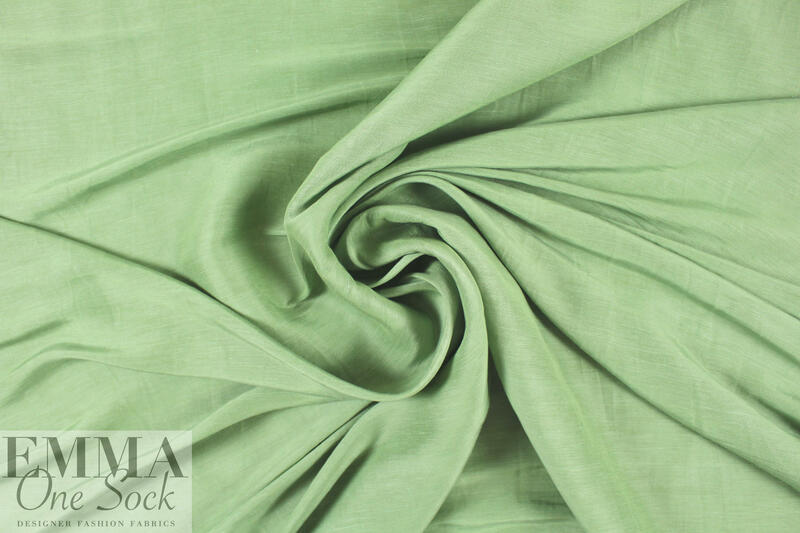 It is perfect for a blouse, top, tunic, etc. Eco-friendly, sustainable, organic. Manufacturer recommends hand wash, no bleach, hang to dry, or dry clean.